First Listen: The Decemberists After 2009's ambitious The Hazards of Love, Colin Meloy's band is back with a rustic, stripped-down record featuring Gillian Welch and R.E.M. 's Peter Buck. Listen to The King Is Dead in its entirety here. 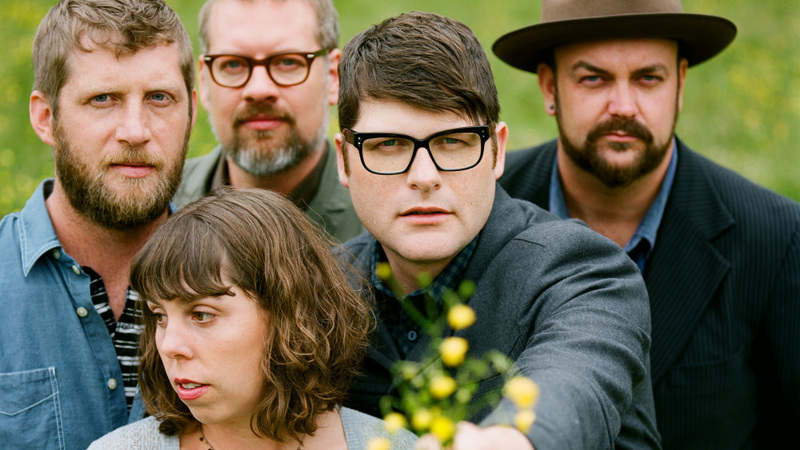 The Decemberists' new album, The King is Dead, comes out Jan. 18. On The King Is Dead, Meloy prepares listeners for change in his opening line: "Here we come to a turning of the season." 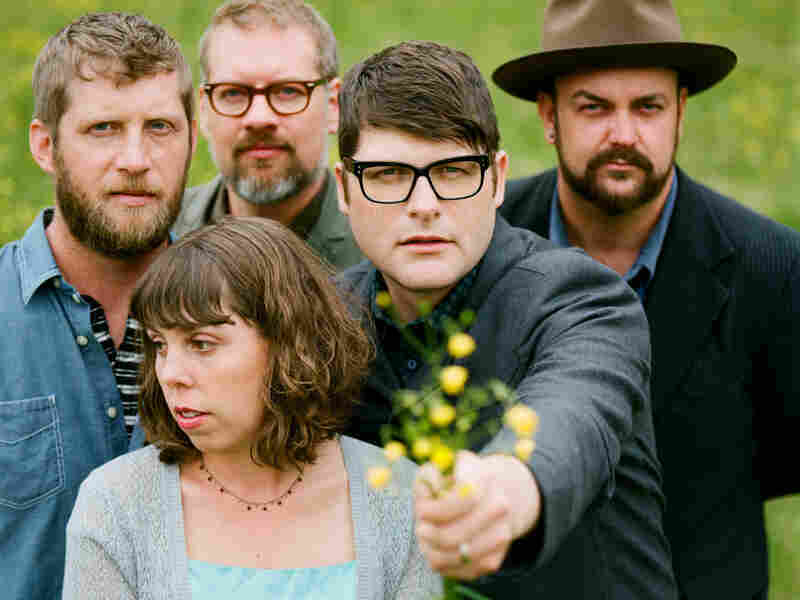 It not only signals different lyrical themes, but also provides an introduction to a new musical lightness for The Decemberists. The new record opts to tame the band's indulgences, and also reroutes its musical focus: Instead of pointing solely to the British folk that has long inspired him, Meloy digs deep into the American roots-music lexicon, even merging the two in the sea shanty/mining tune "Rox in the Box." From the R.E.M. nod in "Calamity Song" (which features Peter Buck) to the mountainized "Honky-Tonk Woman" intro of "All Arise!," this is a sort of tribute album with no cover songs, as well as a rock record with roots. And who better to serve as co-pilot on that journey than Gillian Welch, who appears on a majority of The King Is Dead's 10 tracks? Although her role is more backup singer than duet partner, Welch's tone provides a grounding counterpoint to Meloy, as well as a perfect symbol of the songs' surprising lyrical restraint. This is where much of the lightness comes in: Some of the references are literal, as burdens are shared in "Don't Carry It All" and snow is cleared to "green the ground below" in the chilled beauty of "January Hymn." But, unlike the winter season, stripping away layers has a warming effect here. Whether the stories are personal or not, they feel like they are as a result of the sparse and direct arrangements. During a recent interview at WFUV, Meloy describes this shift as an entirely intentional contrast to Hazards, but he also discovered in making The King Is Dead that "no music is easy — even the simple songs can be really hard." Making them sound effortless and timeless, however, is an art.